Yesterday we got our second farm share pickup which was much like the first, lots of varieties of lettuce and not much else. 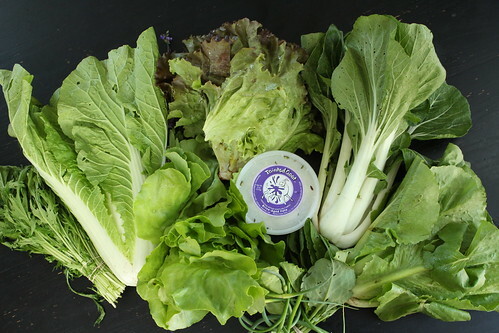 We got sage, mustard greens, garlic scapes, butter crunch lettuce, mizuna, boy choy, red snail lettuce, romaine, and our first pickup of goat cheese: feta. 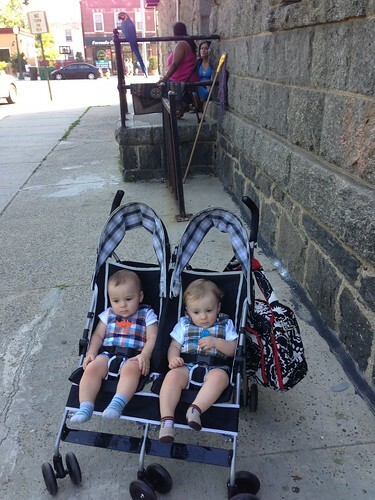 After picking up the vegetables I picked up the babies who got to hang out with the parrot who lives outside of day care. Elliott is barely contained by out baby play zone. Having crawled for eight days he is now pretty much able to completely tear down portions of the wall to either make a break for the hallway or to attack our wine rack and throw bottles to the floor. 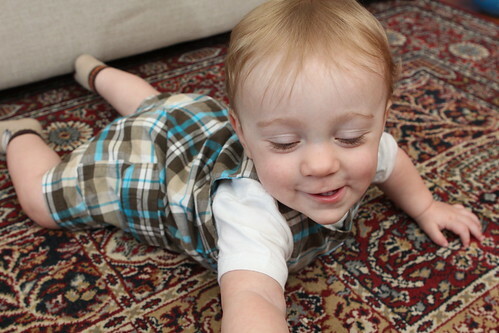 Martin is still working on his crawling and is just days away from joining his brother and making our lives twice as challenging. 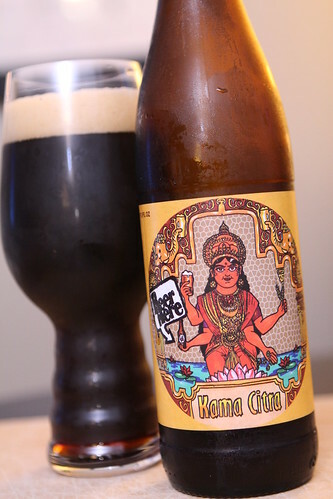 To celebrate Jen getting home from work I opened this Kama Citra form Beer Here in Denmark. This is a beer brewed with English malt and American Citra hops. I mistakenly thought this was an IPA so I put it into one of our IPA glasses. It was not an IPA but it was very, very good. Apparently it's difficult to get a hold of so I am very grateful to my beer-hunting wife for tracking this one down. 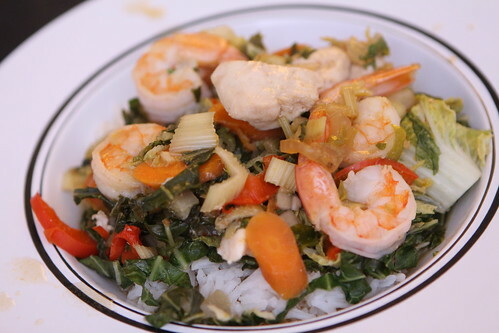 After getting the babies to bed at the late hour of 9:00 PM I made up this stir fry using Chinese cabbage, bok choy, mustard greens, celery, carrot, chicken, shrimp, and red pepper with a little rice wine vinegar, sesame oil, and soy sauce. I served it over white rice. Now I just have to figure out to do with the remaining sixteen pounds of lettuce in the fridge. Nothing goes better with a nice stir fry than watching the Bruins take a 2-1 lead in the Stanley Cup Finals. There is nothing that reminds me of my childhood more than watching the Bruins set me up for an inevitable disappointment.